122: Is There Any Hope for Google Podcasts? Google's latest entry into the podcast market, Google Podcasts, isn't converting the number of Android listeners we'd hoped. Or is it? Have you used it? What can we do to get more people using Google Podcasts and if we're not successful, do you think Google will pull the plug...once again? Join Ray, Dave, Daniel, Paul Colligan, and John Wilkerson to discuss the Google Podcast directory and other podcasting news. You can subscribe to the episode mailing list to get new Rounds ... See More delivered to your inbox automatically. Articles discussed: Why is the Google Podcasts App Failing So Hard? Podcast industry aims to better track listeners through new analytics tech called RAD What do podcast ratings actually tell us? 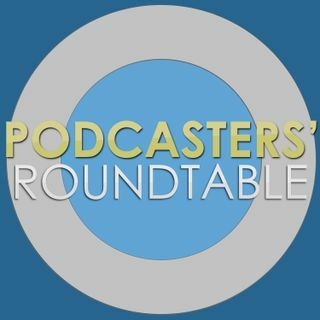 What New Data Suggests about Podcast-Hosting Customers Subscribe to Podcasters' Roundtable on YouTube and use the bell icon to set notifications so that you know when we're live!